Many of us will be going to the ocean, rivers, lakes, or pools this summer to relax with friends and family. Each year, over 1,200 children under the age of 14 drown, and another 17,000 are taken to the hospital because of water related accidents. 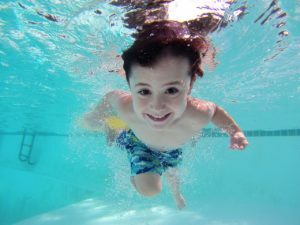 Whether you have a backyard pool or enjoy swimming in ponds, lakes, or oceans, the following summer safety tips for parents and kids should always be at the forefront of your mind. Remember your homeowner’s insurance may cover your personal property while it is away from your home. If you plan on traveling, call our office for an personal insurance review. Adding locks and safety covers will create an extra barrier of protection around the pool or spa. Know the water conditions before getting in. Many rivers have swift under currents that can be dangerous. Establish family swimming rules like never swim around drains, grates, or suction fittings. Never leave children unsupervised in, or around, the water. Be sure every child wears a proper fitting life jacket when on a boat or near water. Be sure that everyone knows how to swim. Try to teach your children to swim as early as possible. Develop a buddy system so no one is swimming alone. Don't allow anyone who has been drinking alcohol to swim. Don't allow glass objects around the pool. Learn CPR and have a first aid kit at a convenient spot. Always check the depth of the water before swimming or diving. If swimming in the ocean, check the current and under-tow.